Hobbit houses must be the cutest type of house designs existing and that’s precisely what you will find in this map. 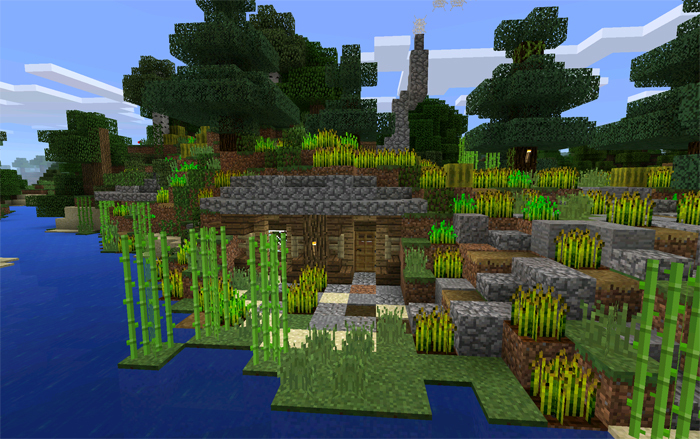 This is a survival world which the creator is using for his own adventures in Minecraft. Even though it’s built on very little space the details are overwhelming (in a good way). The house is built just in front of a river and there’s even a small dock at the house for boats. Surrounding the hobbit house is lots of farmland which is used for growing wheat and different types of vegetables. If you are looking for an adventure in an environment reminding you of The Shire in the Lord of the Rings, then use this house as your starting point in your next adventures to come.